Technology is constantly developing and evolving, changing our daily lives in the process. From our driving habits to how we meet up for dates, modern advances have certainly altered the landscape of society. One area that people may not consider is the convenience of social media when coupled with the adoption process. Our last blog looked at a few tips to help when balancing the use of social media between birth mothers and adoptive parents who are hoping to start the process together. 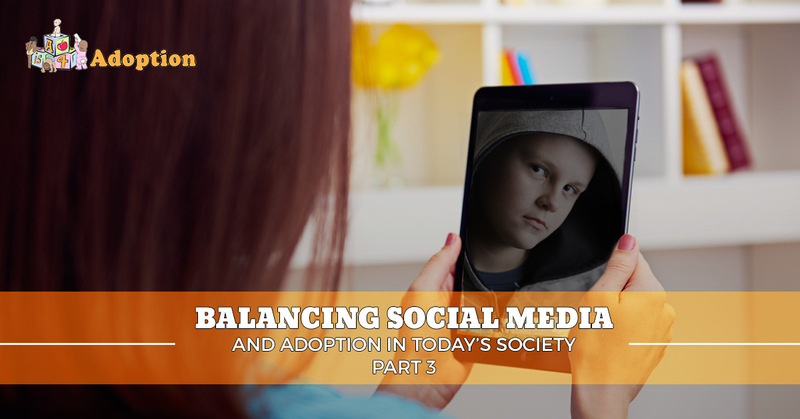 Today, we’ll continue this journey by discussing the intricacies of shaping a post-adoption contact form, as well as the challenges of handling social media with your adopted children once they are old enough to utilize social media. Prospective parents and expectant mothers can benefit from our open adoption procedure, which aims to deliver comprehensive resources to all in need while cutting through much of the roadblocks associated with any standard adoption agency in California. A is 4 Adoption was opened to help those adopting a child to get through the process quicker to serve the best interests of all involved. Our adoption center is here to help you every step of the way to ensure the best future for the child in need! Once you have made contact with your potential birth mother and child, it’s time to plan your post adoption contact agreement (PACA). This legal document may sound like an intense form, the long-term benefits throughout an open adoption are worth the early stress. Essentially, the PACA will lay out the terms between both parties concerning communication, from letters and photos to social media posts and more. Adopting a baby is an exciting event, and you and the birth mother may want to allow easy access to photos and updates. Your PACA will consist of a single document that is agreed upon and signed by both parties to reach a mutual and clear understanding concerning how contact and social interactions will be performed. Be sure to work this process out with the best intentions for the child in mind. Many birth mothers will fear never being able to see or hear about their offspring again, making a PACA the opportune time for everyone involved to discuss a beneficial outcome. Social media at this stage can be written into the agreement to allow easy communication between adoptive and birth parents. It’s important to remember that social media networking is essentially a public domain, where much of the information about your life may be easily accessible by anyone. As such, it’s crucial to discuss the limits of social media in your contact agreement. One common error that either party can make is the process of sending a message or friend request on social media in the time following the signing of their PACA. While lifestyles and attitudes do change, this binding agreement can complicate the process of beginning contact. A is 4 Adoption recommends using caution in this situation and reaching out to your adoption representative for assistance. The process of shaping and structuring how your adopted child can use social media can be very complex. One concern comes with the accessibility of information, where the adoptee can simply go online and search for their birth parents. Another issue can arise if the parents find their biological child and reach out to establish contact with them via social media. Private adoption allows established degrees of contact between both parties, harboring the potential for major issues. As your child gets to the age where technology is easily accessible, we recommend talking to him or her about the adoption process and the dangers of unsolicited contact. Whether they find their parents or vice versa, it’s a good practice to keep your child informed and ready if they are ever surprised with contact from their birth family. Social media can be seen as the modern gift that keeps on giving. People are able to keep in touch all over the world, sharing ideas and comments with ease. This convenience can also become a problem, as posts and messages sent online are nearly impossible to take back. Anytime you are dealing with a sensitive subject surrounding adoption, it’s always best to remember that your words can last forever. Be careful and cautious anytime you are dealing with any social media activities that include adopting a child. Whenever an issue arises surrounding modern technology and your privacy throughout the adoption process, it’s always a good practice to speak with our professional staff. While adopting a baby can be a major event that forever changes the lives of all involved. As such, it’s important to work with a top-notch adoption center to minimize your stress and wait times. Using an adoption agency in California can prove to be a major hassle that may end up taking far too long. A is 4 Adoption is here to help guide you through the process, offering birth mother help and adoptive parent assistance to ensure that the child at the center of it all receives the best outcome. Contact us today to learn more about our open adoption process!